The Lotus Type 72 was driven by such Lotus greats as Jochen Rindt, Emerson Fittipaldi, Ronnie Peterson and Jacky Ickx and won three Formula One Constructors’ Championships (1970, 1972 and 1973) and two Drivers’ World Championships (the first being won by Jochen Rindt in 1970 and the second by Emerson Fittipaldi in 1972). 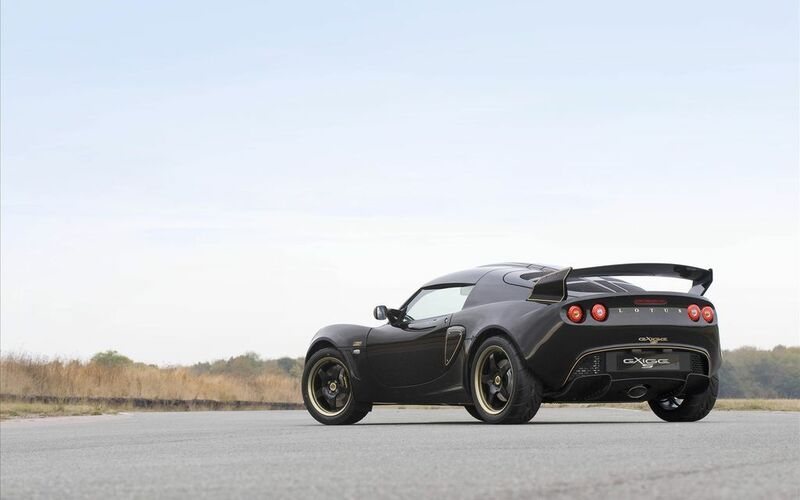 The colour scheme of the Exige S Type 72 commemorates the famous and easily recognisable black and gold Lotus Type 72 livery and is finished by the same sign writer who painted racing cars for Team Lotus. 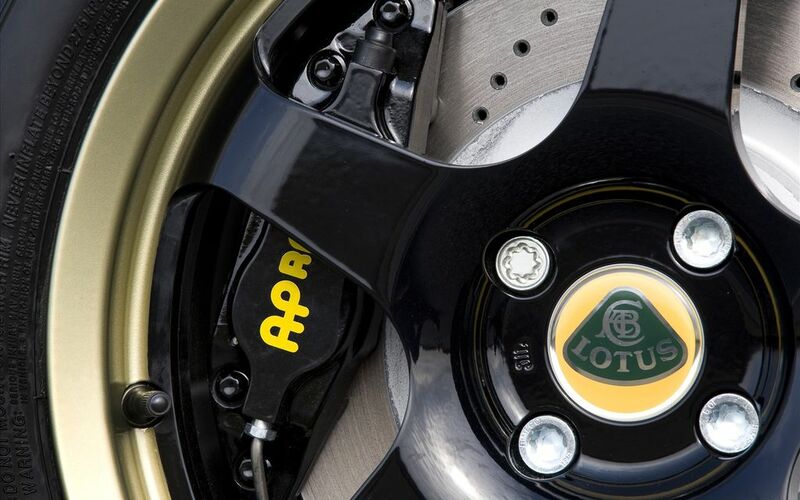 Performance through light weight has long been a Lotus philosophy. The 935kg Exige S Type 72 sprints to 60 mph in just 4.5 seconds and to 100 km/h in 4.7 seconds, before reaching a top speed of 145 mph, 233 km/h. The Exige S Type 72 also offers class leading fuel economy and emissions, with fuel economy of 6.5 litres/100 km (43.5 mpg) on the Extra Urban Cycle and CO2 emissions of 199 g/km. The Exige S Type 72 is a powerful supercharged mid-engined sportscar that is equally at home on the racetrack or open road. The intercooled engine has VVTL-i technology ensuring impressive performance all the way to the rev limiter at 8500 rpm. 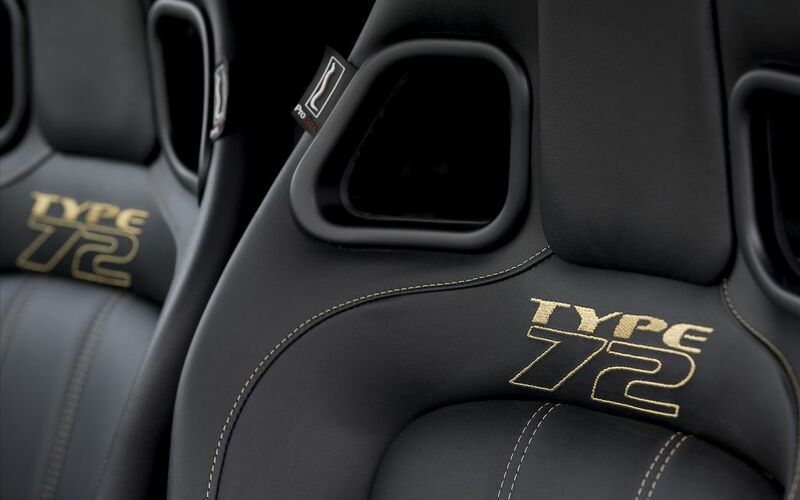 The Sport Pack comes as standard on the Exige S Type 72 which has a bespoke high quality interior, including black micro fibre ProBax sports seats with gold stitching. Each car comes with a special build plate commemorating one of the F1 car’s 20 Grand Prix victories. The exterior of the Exige S Type 72 features unique black and gold light weight wheels and is finished with hand-painted gold Type 72 and Exige S logos, (the Sport Pack also includes a T45 steel main roll hoop, Lotus Traction Control, twin oil coolers and an adjustable front anti-roll bar). 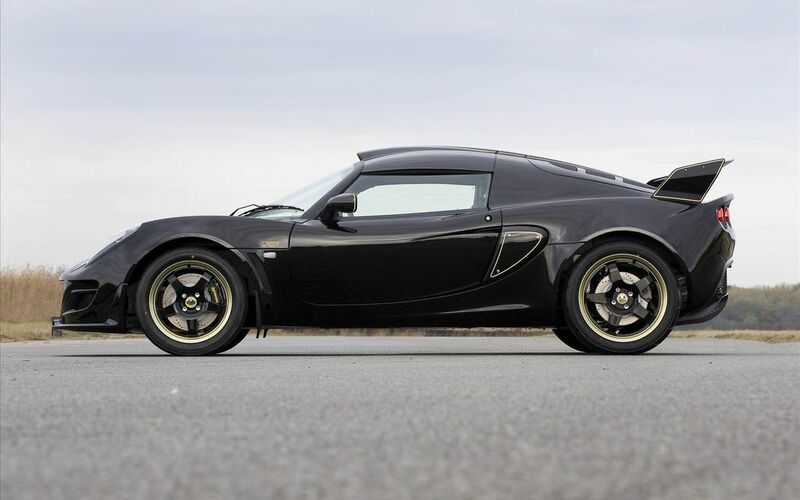 All Lotus cars offer outstanding handling and performance, and the Exige is no exception offering excellent dynamics and great driver involvement. Lotus ride and handling gives an inspiring driving experience and the mid-engined layout of the Lotus Exige S Type 72 offers fantastic balance and agility. The Exige S Type 72 options include: Air Conditioning, Limited Slip Differential and the Performance Pack, which includes a power increase to 240 PS, larger AP Racing brakes, enlarged roof scoop (compared to the standard Exige S) and Lotus variable traction control and Lotus launch control. To commemorate the impressive number of Grand Prix wins the Type 72 achieved, Lotus will be producing 20 of this special edition for the UK, a further 20 cars for mainland Europe and there will be a limited run of cars in Japan and selected markets around the world.